Venice Carnivale 2004. Submission for Theme Tuesday. 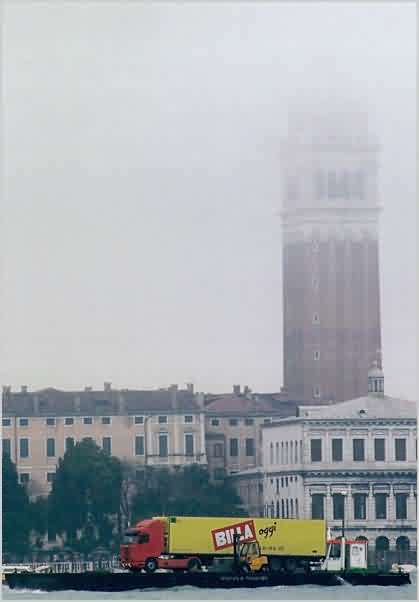 It looked like another dull, misty morning in Venice until this ferry with a semi-trailer sailed passed. It's funny how cargo on a semi-trailer becomes the cargo of a ferry.